THE ATTORNEY GENERAL is currently assessing if the issue of spiralling student rents can be dealt with in a new law due to be published in the next couple of weeks, the Oireachtas Housing Committee was told today. Students are sleeping in cars, staying late in the library and couch-surfing with friends due to high rent costs, USI Vice President for Campaigns, Michelle Byrne told committee members this morning. She said students will end up not pursuing their first choice places like Dublin, Cork, Galway because of the cost of accommodation in urban areas. 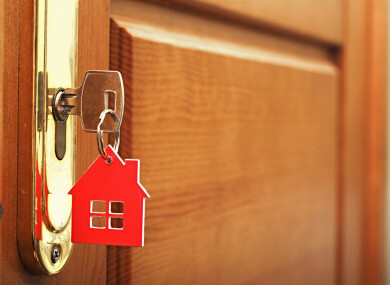 The Residential Tenancies Act will bring into force a host of new measures designed at increasing protections for tenants in the private rental market. These include making it a criminal offence for landlords with properties in designated Rent Pressure Zones (RPZs) to raise the rent above the legally allowed 4%. Rent Pressure Zones were introduced by government in late 2016 to combat spiralling rents. All of Dublin, Cork city, Galway city and various other areas are designated RPZs. However, the committee was told today that some student accommodation do not fall under these rules, resulting in students being charged extortionate rent prices. According to a source close to the housing minister the Bill is to brought to Cabinet either this week or next. Currently the Department of Housing is engaged in consultations with the Office of the Attorney General to “scope out” whether amendments to the Bill can be made to ensure student protection. Paul Dunne from the Rental Market Policy Section in the department said it will be “complicated”. “The policy outcome for the good of society needs to justify the proposed limitation of the property rights, and any limitation needs to be proportionate and legally justifiable,” he said. However, he said it is their intention to put down amendments to the Bill at Committee Stage. “We are not ignoring the elephant in the room,” said Dunne, adding “we recognise there is a problem”. The committee also discussed a bill put forward by the Sinn Féin’s Eoin Ó Broin and Kathleen Funchion, which would allow the protections of the Residential Tenancies Act to apply to all students living in public and private student specific accommodation. Ó Broin said today that his party would be happy to withdraw his Bill if the government commits to deal with the issue in the upcoming legislation due to be published. “If the minister finds a way to resolve this in his own Bill we would support that,” he said. Fianna Fáil’s Pat Casey said he was disappointed the government had not taken swifter action on the issue. The Wicklow TD said Fianna Fáil withdrew its own Bill on the matter because it received assurances, which never materialised, from the Minister Eoghan Murphy that the government would deal with the issue immediately. “It is disappointing he hasn’t done something and brought forward a Bill like he said,” added Casey. It was pointed out by the USI representatives today that much of the new student accommodation which Bailey referenced is being built as Purpose Built Student Accommodation (PBSA) by Irish and global property investors. The committee was told the rents being charged by these groups are regularly unaffordable, with one student being asked for €14,000. The USI said these new student builds are targeted predominantly at international fee-paying students, who are generally fee paying and thus attractive for underfunded universities. Email “'We're not ignoring the elephant in the room': Officials hope new law can deal with rising student rent”. Feedback on “'We're not ignoring the elephant in the room': Officials hope new law can deal with rising student rent”.